Charles Willson Peale probably painted this museum portrait during Lincoln's term as Secretary of War. It is first recorded as "Secretary of War" in the October 13, 1784 issue of the Freeman's Journal and Philadelphia Daily Advertiser. The epaulettes worn by Lincoln in this painting may be those presented to him early in the war by General Washington as a token of appreciation for his service. Listed in the 1795 Peale Museum catalog. Purchased by the City of Philadelphia at the 1854 Peale Museum sale. incoln was born on January 24, 1733 in Hingham, Massachusetts. He attended local schools, and then established his own farm. Elected town clerk in 1757, he gradually became prominent in the colony's militia and politics. By 1772, he had achieved the rank of lieutenant colonel and had been elected to the colonial legislature. He later served as the secretary of the provincial assembly that replaced the colonial legislature in defiance of the Boston Port Bill. In 1776, he received a militia command in the defense of New York, and although Lincoln held no Congressional commission, Washington gave him the command of a Continental division. In early 1777, he went to Morristown and then assumed command of the entire New England militia. With these troops, he disrupted British supply lines and participated in the Continental victory at Saratoga, where he was badly wounded. He rejoined the army as commander of the southern campaign in September 1778. Following a year of minor skirmishes, the British defeated Lincoln, captured him and his army, and conquered Charleston. He was exchanged in late 1780. 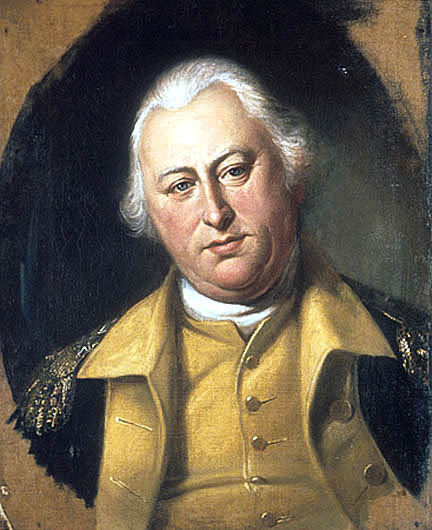 After his release, he commanded a division during the Continental victory at Yorktown. incoln left active field duty after Yorktown. He served as Secretary of War from late 1781 until late 1783. After a brief and financially disastrous period, he commanded the Massachusetts troops sent to end Shays's Rebellion. Later, he worked for the ratification of the Constitution in his state and served for one year as its lieutenant governor. Later, he was appointed Collector of the Port of Boston. Lincoln died on May 9, 1810.